How to ensure your Blog is never penalized by Google – Who does not wish to have their websites on the top positions in the search engine results? For getting better ranks and traffic you need to apply better search engine optimization techniques. But often people commit the mistakes of practicing the illegal techniques that make them face the Google penalties. So here we will discuss about how you can ensure that your blog is never penalized by Google. Ranking on the competitive keywords can give you floods of traffic towards your website. Optimization of the website is an important step in getting better results than usual. While optimizing your blog or website you need to make sure your activities are under Google’s guideline and recommendation. 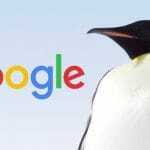 Because in case you violate any one of the Google’s rule then you can get your site penalized and in severe cases deindexed. 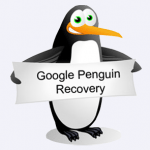 You definitely do not want Google to penalize your website or blog. Staying away from the penalties and ranking high on search engines is not that difficult. You just need to follow the right steps. Below mentioned are the best practices that you can follow to ensure that your blog will get penalized by Google. One of the most common reason why sites get penalized by Google is duplicate and irrelevant content. So if you really want to stay away from the penalties then avoid using copied or duplicate content. Creating great content surely requires time and effort but it is worth your every effort. While creating content make sure that it covers every detail so that the reader does not have read about the same topic from somewhere else, also make it impressive so that you never run out of ranks and traffic towards your website. Guest blogging otherwise is a great way to build customers, brand image and other related things. 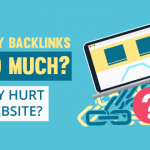 But if we talk about getting backlinks it might turn into a bad option. Reason being guest blogging in the past few years is considered spammy and also a source of irrelevant backlinks. So this is the reason why Google is penalizing the blogs who uses guest blogging for getting backlinks for their website. Also make sure that you do not use other bio links in your profile. Google has changed a lot in terms of how it values a backlink for a specific profile. Page rank is now not that important as it used to be before. Now relevancy of your linking domain and its authority is much more important for your website. 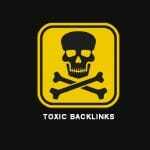 Websites that have backlinks coming from irrelevant websites are most likely to be penalized by Google. So make sure from where you are getting your backlinks. 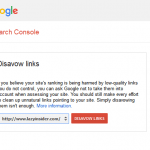 If you have a huge amount of low quality links in your website then Google will immediately penalize you. To prevent this situation you need to regularly monitor your website and clean the low quality links from the website. You can easily clean these links by Google webmaster tools. At the end it is all about how much you are making your customers happy with your services. If your customers have to wait for your website to respond then you will notice an immense decrease in the traffic and ranks as well. Therefore, in order to prevent this situation and also from the Google penalty make your website design responsive both for the desktop and mobile version. Main purpose of Google is to provide high quality results to the viewers and users. If your blog or website is unable to provide the right information or is using wrong methods to get quality results then penalty is something you can never get rid of. Therefore, above mentioned are the best methods that will ensure you that your blog will never get penalized by Google.